UPDATE: Purchase the Full Book here. Free Sample of the book is also available. A song to remember all the vowels. More worksheets will be uploaded in coming days. More letters are coming soon. A Nepali Varnamala (Nepali Barnamala) book is published in an ebook format. 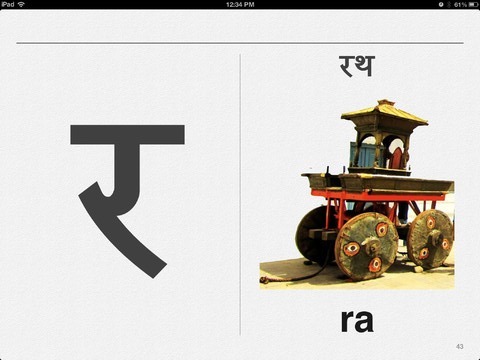 Now, it is easier for the kids to learn Nepali letters by touching them. 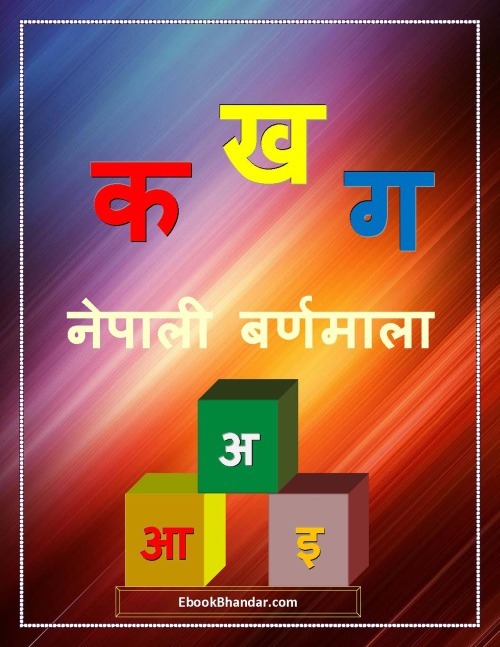 Nepali Varnamala is the first book to teach Nepali language to your children. Interesting and easy to learn, the book is full of colourful pictures to make it interesting. Easy to remember poems to help the kids to remember alphabet and words. Excercise to practice the newly learnt alphabets and words. Nepali is an Indo-Aryan language derived from Sanskrit. It is the official language of Nepal spoken chiefly by Khas people in Nepal, some parts of India, and by a significant number of Bhutanese and some Burmese people. The Nepali language is also listed in the Eighth Schedule to the Constitution of India as an Indian language having an official status in the Indian state of Sikkim and in West Bengal’s Darjeeling district. अ (a), आ (ā), इ (i), ई (i), उ (u), ऊ (u), ए (e), ऐ (ai), ओ (o), औ (au) अं (an) अ: (ah!). A letter – ऋ (ri) is also widely used in Nepali language but, it is not considered a Nepali alphabet because it is only used in the words borrowed from Sanskrit like – Rishi, Ritu, Shrinkhala etc.